The Alianza Francesa building in Malaga is the temporary custodian of an eerily lifelike sculpture of Pablo Ruíz Picasso. 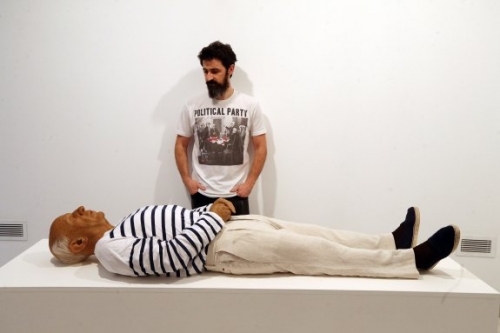 The sculpture is life size and is dressed in the striped white and navy jumper which became his trademark attire. The effigy was created by artist Eugenio Moreno who aimed to show how the figure of Picasso has been exploited in Malaga, and how he has become another ‘souvenir’ of Malaga.